Dean Robb is a partner in the firm's Honolulu office and is a member of the Corporate & Business Practice Group. He concentrates his practice on corporate business, finance, construction, acquisitions, ocean and maritime activities, administrative law, government procurement, and international transactions. Admitted to bars throughout the Pacific, Mr. Robb also has considerable experience in the U.S. Pacific islands, including Guam, Saipan and Micronesia. He continues an active practice in these areas. Recently, Mr. Robb was named Best Lawyers' 2018 Honolulu Admiralty & Maritime Law Lawyer of the year; he was previously named Lawyer of the Year in 2012. Only one attorney each year is singled out for this award. He has been listed in Best Lawyers of America continuously since 2005. He has represented a variety of commercial interests throughout the Pacific including shipping, recreation activity providers (tour boats, water sports, etc.) and resorts, design and construction firms, insurance interests, financial institutions and business concerns of almost every type. 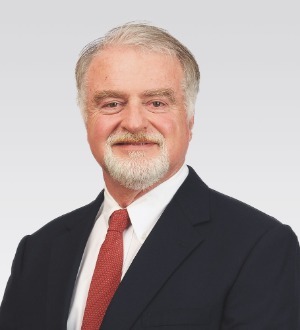 Mr. Robb's clients also include governments in Asia and the Pacific Basin, Japanese trading companies, international construction consortiums, international banks, marine P & I clubs, as well as shipping and fishing companies. Prior to joining Carlsmith Ball, Mr. Robb was Assistant Attorney General for the Trust Territory of the Pacific Islands, a consultant to the United Nations and a consultant to the Asia Pacific Bank. Selected as Best Lawyers' 2018 Honolulu Admiralty & Maritime Law Lawyer of the Year. Selected as Best Lawyers' 2012 Honolulu Admiralty & Maritime Law Lawyer of the Year.